It’s time to change the conversation about childrearing. We’ve never had more clear and compelling evidence that excessive stress during our early years has a profound impact on our brain development—and thus, our long-term mental, physical, and emotional health. The research is clear: What happens in childhood shapes adulthood…and the single most powerful force is the parenting we receive. Marianna S. Klebanov, JD, sees firsthand the lifelong dysfunction born of adverse childhood experiences. Her work as a litigation attorney and policy advocate for the prevention of family violence, child abuse, and neglect shows her day in and day out the byproducts of harmful parenting. That’s why she believes it’s time for a new national conversation on how we’re parenting our children. Harmful parenting happens more than most of us realize. While, in general, we’re getting better at parenting, serious childhood trauma is still more prevalent than we think. At least 50 percent of the population has experienced violence, neglect, substance abuse, and/or sexual abuse. A lot of it remains hidden. From a policy and legal perspective, it’s clear we need far more support and protection for our nation’s children. However, it’s not just severe trauma that harms children. Many common, culturally accepted parenting practices—for example, fights involving name-calling and put-downs in front of the kids, spanking, too much criticism, and allowing a baby to cry—lead to dysfunctional development and serious long-term damage. (How many of us have personal issues like a fear of intimacy, a tendency to bully, or a pattern of internalizing stress that can be traced back to childhood?) We must do a better job of educating well-meaning parents about the impact of their parenting patterns and behaviors. Cultural reform requires parenting reform. Marianna Klebanov offers solutions. When we ignore parenting behaviors that interfere with optimal brain development, we hurt our entire culture. A population damaged in childhood can never live up to its potential as human beings, partners, parents, and employees. And the crime and violence we see around us—not to mention the high levels of mental and physical illness—clearly show our failings. The good news is, simply making parents aware that many standard childrearing practices create lasting issues can spark change. In fact, numerous statistics show that parenting practices and social development are on a general path to improvement. As a lawyer, writer, speaker, policy advocate, and mother of two, Klebanov has made it her life’s work to create awareness around how parenting impacts our children and our culture. 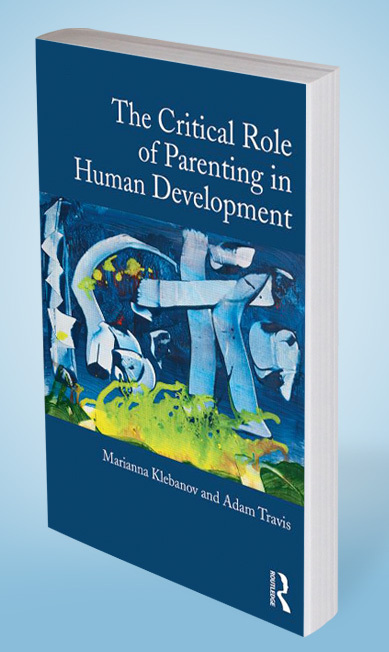 Her book, The Critical Role of Parenting in Human Development (coauthored with Adam Travis, MD, PhD), explains how brain development in the womb and during our earliest years is fundamental to the lives we lead. It’s also a compelling case for serious reform in policy and parental education. Childrearing is undervalued in our society—by parents, by healthcare professionals, and by policymakers. For the sake of our children, who really are our future, it’s time for us to do better. 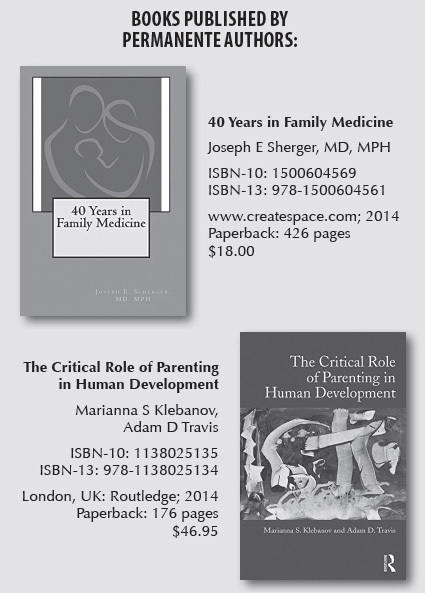 The Critical Role of Parenting in Human Development was recognized in the Winter 2015 edition of The Permanente Journal.